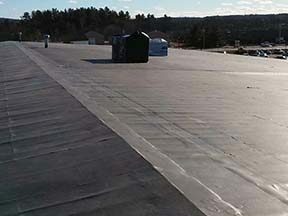 Our repair technicians are specially trained in order to treat your commercial rubber roof with any necessary repairs. We have been serving business owners with our 20+ years of service. Our skilled technicians are industry experts and fully prepared to ensure your day-to-day business routines are not negatively impacted by your roof. If you are in Lynchburg, Virginia please give us a call at (804) 357-8038 so we can provide you with our exceptional commercial roof repair services. A leaking roof won’t just halt production at your facility it can also allow moisture to enter your property allowing the growth of mold. Not only will this put a strain on your roof and building maintenance budget, but it puts your health at risk as well. Some damages are unnoticeable to the untrained eye, whereas leaks or torn membranes are more noticeable. If you are unsure of your rubber roofs condition give us a call today at (804) 357-8038. We will inspect your roof to determine if it requires a professional commercial roofing contractor intervention. If you are in the Lynchburg, Virginia area please don’t hesitate to call us. Don’t give that minor leak the chance to turn into a much larger, costly, problem. With Eric B. Mast Enterprises, we guarantee to treat your roof quickly and correctly to all necessary repairs. 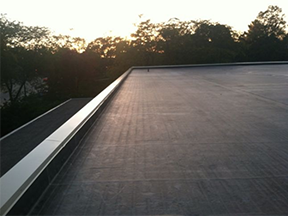 Let the experts at Eric B. Mast Enterprises ensure the long life and proper functionality of your commercial roof with our rubber roof repair services. For those located in the Lynchburg, Virginia area, we hope to hear from you soon. Our estimator will thoroughly inspect your roof and present you with a detailed report discussing your repair solutions. With Eric B. Mast Enterprises, you are truly our highest priority. 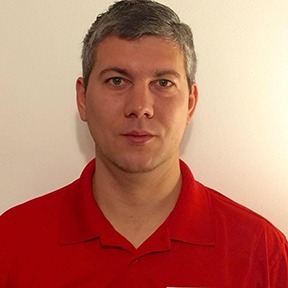 We know that in order for our company to continue growing, we must always provide the high level of workmanship paired with our unmatched customer service record. We don’t just repair your roof, we protect your investment.